Have to admit that “cleaning my plate” is a nightly occurrence and unfortunately is no reflection on performance the following day, but we all know that eating up is a good sign when it comes to racehorses. Therefore, it appears to be all systems go for Bel Sprinter’s tilt at the Group One KrisFlyer International in Singapore on Sunday. “He didn’t leave an oat last night,” said Jason Warren’s assistant-trainer Mitchell Beer. “He has done far beyond our expectations. “I thought he might take a little longer to get on his feed, but he’s well and truly on it now. Track rider, Carly Thomas concurred: “He felt super, really bright and was stretching out nicely. 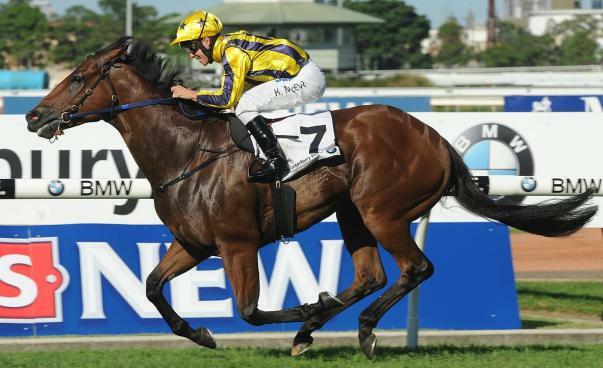 The Bel Esprit, uh, sprinter proved he is one of the quickest horses in Australia with an absolute demolition of rivals in the Group One The Galaxy in March and appears to be right on target to add to the cabinet on Sunday. Speaking of ‘targets’, Bel Esprit’s stablemate and leading Australian Second Season Sire (by winners), Magnus, won the Galaxy in 2007 before just being grabbed by Takeover Target in the 2008 KrisFlyer International.